Strong progress has already been made on reducing costs and enhancing productivity in the Public Service. There must now be a renewed focus on these and other areas to further reduce costs, with some particular priorities set out below. The Public Service has been undergoing significant change and restructuring over the last number of years with a view to making it more effective and efficient in serving the needs of the citizen and the State. The improvement in effectiveness has been supported by a number of reform initiatives aimed at better service delivery models, while the improvements in efficiency have been driven primarily by the reducing number of employees and improving work practices, enabled by the Croke Park Agreement. Public Service numbers have been reduced by over 30,000 from a peak of 320,000 in 2008, to under 290,000 - a reduction of almost 10% - with the Exchequer pay bill for the Public Service down some 17% in the same period. As the Public Service pay bill approaches a more sustainable level, the strategic objective will be to give more flexibility at the operational level to better manage and prioritise staffing levels in response to demands for public services, while still maintaining tight control of the overall Exchequer public pay bill. The Moratorium on Recruitment and Promotion in the Public Service that served to drive down Public Service numbers was a necessary policy response to the fiscal crisis but it was never intended to be permanent. Under this Reform Plan, new delegated arrangements for the management of staffing resources, underpinned by strategic workforce planning, will be devised and rolled out on a phased basis. The challenge is to embed a culture of continuous improvement in the way public services are delivered and staffed, one in which Public Service managers are focused on implementing change that will free up staff resources in one area for the benefit of improving service delivery elsewhere. The capacity to identify and reinvest such efficiency dividends will help sustain the reform agenda beyond the current fiscal crisis. This will require a more proactive and strategic staff resource management approach from public service managers. The objective of this new approach is twofold: to contain the cost of delivering public services at affordable and sustainable levels over the medium term and to allow the Public Service to respond and adapt quickly to the needs of the citizen. These two objectives capture the core, underlying purpose of reform. Across the various different sectors of the Public Service – including health, education, local government and justice – reform will be about delivering efficiencies and making savings that can be used to meet new or additional service demands. It will be about doing things differently, identifying outmoded or outdated processes, embracing technology and applying the efficiency dividend from this to expand and enhance services generally. New delegated arrangements for the management of staffing resources, underpinned by strategic workforce planning, will be devised and rolled out on a phased basis. Reform can free up trained Gardaí from administrative duties onto the front line. Similarly, in the health service it can focus on optimising the amount of time medical professionals spend with patients and minimising the administrative demands. These examples, and others of a similar nature, are not straightforward issues, but as an underlying principle of reform, they should be at the forefront of our ambitions. People working in the Public Service deliver, at all hours of the day and night, vital public services that are of benefit to all of society. Public servants have made a significant contribution to the fiscal recovery of the State through a number of measures since 2009, which have helped to reduce the Public Service paybill from its peak of €17.5 billion in 2009, to an estimated €14.1 billion in 2013. In addition to the significant cost benefits, the Croke Park Agreement proved to be a key enabler of the achievement of major reforms and workplace changes, in a climate of industrial peace in which service delivery was maintained. The Haddington Road Agreement now provides the basis for a further contribution of €1 billion from the Public Service pay and pensions bill to the fiscal recovery of the State. The Agreement is the largest productivity deal in the history of the State. It will be a key enabler of reform and improvement in the Public Service and will allow for the implementation of long term sustainable reforms and work place changes. The Haddington Road Agreement now provides the basis for a further contribution of €1 billion from the Public Service pay and pensions bill. In addition to delivering the significant reduction of €1 billion in the public service pay and pensions bill, the measures of reform and changes in work practices contained in the Haddington Road Agreement also present an unprecedented opportunity to deliver major productivity gains right across the Public Service. This will include ensuring that management can maintain and improve services against a backdrop of reduced staff numbers through the flexibility of revising roster arrangements to ensure that resources are matched to peak requirements. In addition, additional hours will be used to reduce the amount of paid overtime and agency costs required and in extending the opening hours of public offices and telephone services. The Agreement provides for an additional 15 million working hours annually across all sectors of the Public Service, including 5.2 million additional hours in the health sector, 4.4 million in education, 3 million in the Civil Service, 1.5 million in local government and almost 0.5 million in An Garda Síochána. In order to harness the full potential of the additional hours under the Agreement, it will be essential that public service management develops innovative ways of utilising these additional hours. The Agreement also provides for more effective arrangements to support redeployment of staff both on a cross-sectoral and geographical basis. This will enhance flexibility for the deployment of staff to areas of most need to ensure continued service delivery and to deal with work peaks as they arise so that a quality service to the public is maintained. Significant progress has been made in restructuring the Public Service in recent years. Measures in the Agreement relating to workforce restructuring will allow for the streamlining of the Public Service to make it a leaner and more efficient organisation through the reductions of management numbers by increasing spans of control and grade rationalisation. These measures will help to deliver long term sustainable change in the Public Service, which will stretch beyond the lifetime of the Agreement, ensuring that we have a modern, effective and streamlined Public Service which is fit for purpose and capable of delivering high quality services. Shared services had been very underdeveloped both as a concept and business solution prior to the 2011 Public Service Reform Plan. Significant progress on both these fronts has been made. The strategic roadmap is being implemented in phases. Over the next three years, shared service provision will expand across the Public Service. In the case of the Civil Service, the HR and Pensions Shared Services Centre, PeoplePoint, is now operational; 17 Public Service organisations will transition to Payroll Shared Services in 2014; the Financial Management Shared Services project is moving to its next phase; and Learning and Development activities are in the process of undergoing baseline and business case scrutiny. 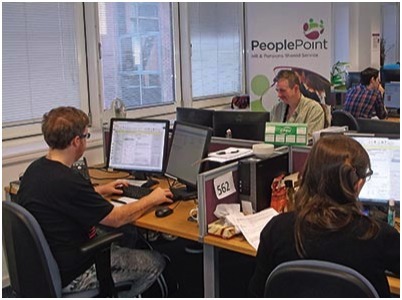 PeoplePoint has been operational since March 2013 and is now serving over 15,000 employees across 13 organisations. Once the remaining Departments and bodies have transitioned and PeoplePoint becomes fully operational, serving 40 organisations, savings estimated at €12.5 million annually will be achieved, with a reduction of 17% in staff numbers in transactional HR. In the wider Public Service, the education, health and local government sectors are progressing separate shared services strategies and programmes, albeit at different paces. The Shared Services strategy for the Health Sector includes commitments to assess the feasibility of national recruitment and pensions Shared Service Solutions, as well as to implement national payroll and finance systems. The Education Sector strategy includes commitments to progress a Payroll Shared Service for Education and Training Boards, as well as to assess other back office functions for Shared Services suitability. In the Local Government sector, work is underway to create Payroll Shared Services and a feasibility study and business case will be prepared in relation to Accounts Payable. All sectors will develop performance measurement scorecards to track high level outcomes and key performance indicators that provide assurance on the performance of Shared Service Centres. In addition, new models for shared approaches that involve centralisation and clustering are being explored by agencies and non-commercial bodies. Laois County Council will commence provision of Shared Payroll and Superannuation services on behalf of all local authorities in 2014. Commencing in January 2014, all local authorities will transition to the new shared service in waves. 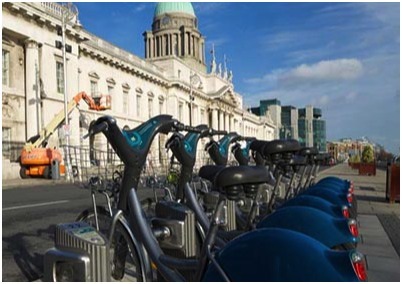 When fully operational, the service is expected to generate annual savings of €4.3 million. Over the next three years, shared service provision will expand across the Public Service. Other back office and more specialist functions will be assessed for shared services suitability. Investment in talent and people development will be important to meet the service quality, performance and cultural objectives of the centres. Established centres will look for more innovative ways to improve service quality as the competency of people working in Shared Service Centres increases. Ongoing investment in technological solutions will be required to drive greater effectiveness and innovation to fully realise the potential from shared services, even in a time where investment is restricted. This will be critical to deliver long term sustainable solutions. A National Shared Services Office will be established, on an administrative basis initially. The office will provide shared services guidance on evidence-based decision-making for shared services and direction on shared service implementation. From 2017, when shared service centres are fully operational, the strategy will be to converge and consolidate transactional processing and include more specialised functions. New opportunities to operate on a cross-sectoral basis will be explored and implemented, where appropriate. Alternative and hybrid models of service delivery will be examined to leverage new channels and service delivery expertise. New models of co-ordination and co-governance may be required. Public Procurement Reform was identified by Government as a key programme within the original Public Service Reform Plan and a significant enabler of deficit reduction. The Chief Procurement Officer (CPO) was appointed in January 2013 and has developed a plan to restructure and modernise procurement across the Public Service in line with the recommendations made in an external review in the summer of 2012. The CPO’s Implementation Plan was approved by Government in April 2013. This reform encompasses a restructuring of the procurement operational functions into a more centralised shared services model and encompasses Central Government, Health, Local Government, Education, Justice and Defence. Procurement reform will enable significant savings by addressing common areas of spend across the Public Service in a holistic way. The Procurement Reform Programme is targeting savings of up to €500 million over a three year period on a 2012 baseline addressable spend of €6.6 billion per annum by introducing the new centre-led model. This will require Departments and Agencies to work creatively with the new procurement structures and potentially change how, what and how much they buy in order to deliver savings for the State. It will also be important that there is strong compliance with the new arrangements across the Public Service. Savings will be achieved by critically assessing the opportunities in conjunction with the internal customer base through Category Councils. The opportunities will be pursued in three ‘Sourcing Waves’ over three years, each wave focusing on different areas of spend. The prioritisation will be based on the estimated savings opportunity for a category of spend, contrasted with the effort to secure the savings. Projects to address these areas of spend will be assembled into a portfolio for the year, called a Sourcing Wave. Each project will have clear targets, deliverables, stakeholders and timeframes. Each Sourcing Wave will last approximately 9 to 12 months and the projects will differ from year to year. The procurement opportunities will be pursued in three ‘Sourcing Waves’ over three years, each wave focusing on different areas of spend. The work required by the customer base in examining demand and specification, seeking ways to reduce demand and harmonise specification, and supporting tendering processes is considerable; however, the payback in savings will be a multiple of the input costs. The creation of the new Office of Government Procurement (OGP) required considerable restructuring of existing procurement organisations across the Public Service. The new office, which will support approximately 60% of spend, will number over 200 staff. The new office will be a professional procurement organisation with considerable focus on and investment in development, learning and qualification. Bringing together staff in such numbers from across the Public Service into one office is ground-breaking and requires the creation of a new way of working and establishing a new culture for the office. The new arrangements will need to be supported by ongoing strategic skills recruitment, staff training and development and systems investment. The new Office of Government Procurement (OGP) will be a professional procurement organisation with considerable focus on and investment in development, learning and qualification. The new procurement arrangements will need to be supported by appropriate systems. At this time, there is almost no procurement data in the Public Service and no consistent coding of materials and services procured. This limits the ability of sourcing teams to identify and categorise areas of spend, identify and categorise suppliers, and benchmark prices. This means that opportunity assessment is severely limited. The programme will procure systems solutions to enable visibility of spend and in time, this will be codified. In addition, the programme will enable customers to buy goods and services through a single web-enabled marketplace capability, akin to any online shopping experience. The programme will also explore possible end-to-end Purchase to Pay systems, but the time, effort and cost to integrate such solutions across the many fragmented public service financial systems may inhibit the ability to provide such a solution. In the medium to long term, it is likely that the new procurement model will mature and the techniques to derive savings will evolve from relatively simple procurement techniques such as volume aggregation, specification harmonisation, etc. to more sophisticated best-in-class approaches such as joint supplier cost reduction approaches, design-to-cost, gain-sharing, etc. This will require a continuing investment in staff up-skilling, market analysis and niche advisory services. The result will be a continuing return on this investment in terms of sustainable savings. The OGP will seek to implement policies which will help strengthen the SME sector. The procurement of goods and services will be more centralised than ever before and this will result in some pressures arising in the Small and Medium Enterprise (SME) sector. However, the OGP will seek to implement policies which will help strengthen the SME sector, enabling innovative businesses to win Government contracts at home and overseas. Changes to policy on Government contracts for construction will help restore confidence and performance as the sector recovers. Finally, procurement policy will be used to support other Government policy considerations such as sustainability, social inclusion, disability, and e-enabling the economy. It is expected that in the long term procurement will continue to develop as a key strategic lever for Government in the delivery of efficiency but also as a mechanism to influence socio-economic development. Property is the second highest administrative cost in the Public Service after pay and pensions. The management of the State’s property portfolio needs to reflect the substantial fall in staffing numbers in the Public Service, adopt more appropriate space norms and standards of fit-out and take account of the changes to service delivery models arising from reform initiatives such as increasing digitalisation and the roll-out of co-located and shared services. Reform of property asset management will deliver administrative savings and facilitate greater efficiency in the way the Public Service carries out its business. Significant benefits can be realised if property asset managers across the Public Service collaborate to work towards the common purpose of delivering savings and improving the management and performance of the State’s property portfolio. The Government has agreed a range of measures to harvest the benefits of better property management and these are set out in Accommodating Change – Measuring Success, the Government’s Property Asset Management Plan, which was published in July 2013. The actions contained in Accommodating Change will be delivered over the next two to three years and will be led by the Office of Public Works. A capacity and capability review of the estate portfolio management function in the Office of Public Works (OPW) is underway and its recommendations will be used to strengthen the skills and organisational structures in the OPW needed to deliver Accommodating Change. Reform of property asset management will deliver administrative savings and facilitate greater efficiency in the way the Public Service carries out its business. In the medium to longer term, the Public Service must build on these reforms to further drive down property-related costs and facilitate changes to service delivery mechanisms in line with the other strategic objectives set out in this Reform Plan. This will require increased corporate awareness of the potential for sharing property assets between public service organisations, a greater focus on achieving high standards of energy efficiency in public service buildings and a more professional, coordinated and strategic approach to property management and decision making. The Government has introduced a suite of reforms to the public expenditure framework. The aim of these reforms is to enhance public expenditure management in Ireland and to ensure that the public finances remain on a sustainable course into the future. While these reforms are challenging in that they restructure long-standing approaches to public financial reporting, they also establish a framework for effective and efficient expenditure management that will support better decision making and value for money. The aim of these reforms is to enhance public expenditure management in Ireland and to ensure that they remain on a sustainable course into the future. Over recent years, a number of significant reforms have been implemented. The introduction of multi-annual Ministerial Expenditure Ceilings that operate within the broader expenditure control context arising from the reforms of the EU Stability and Growth Pact provides clarity about the resources Departments will have available over a three-year period. This facilitates a more strategic approach to resource allocation by emphasising prioritisation of key services over reaction to day-to-day pressures. Revisions of the Public Spending Code are enhancing the management and control of public spending and ensuring that both current and capital expenditure are subject to rigorous value for money appraisals in advance of public money being spent. The Irish Government Economic and Evaluation Service will enhance the capacity of the Civil Service to undertake evaluations of public expenditure, to provide economic analysis and to improve the analytical resources available in the design and formulation of policy. The Performance Budgeting initiative has resulted in more timely and higher quality information being made available to support decision making and allows the Oireachtas and members of the public to more closely view the relationship between Government objectives, budgets, performance and outcomes. Following a successful pilot, IrelandStat, the citizen-focused Public Service performance information website is being extended to all Government Departments and Offices. This shows citizens and business customers what the Government has achieved, what it did in order to deliver on those achievements, what it cost and how Ireland compares with other countries. IrelandStat is being extended to all Government Departments and Offices. the introduction of a ‘whole of year’ budgetary process whereby Dáil Committees are able to engage in constructive dialogue and input their views on which areas of spending should be prioritised. The comprehensive reviews of both current and capital expenditure which will take place in 2014 are part of a suite of reforms to the budgetary architecture that were announced in the Comprehensive Expenditure Report 2012-2014. These reviews are part of the Government’s multi-annual budgetary framework and are intended to be conducted approximately every three years to re-set the multi-year expenditure ceilings in line with emerging Government priorities, and informed by evaluations of expenditure programmes. The new EU fiscal rules mean that for each Government in the Eurozone, growth in General Government Expenditure is linked to the potential real growth rate of the economy. These constraints mean that in order to better inform budgetary policy it is important to undertake regular whole-of-Public Service assessments of how efficiently public resources are being used to deliver effective public services.